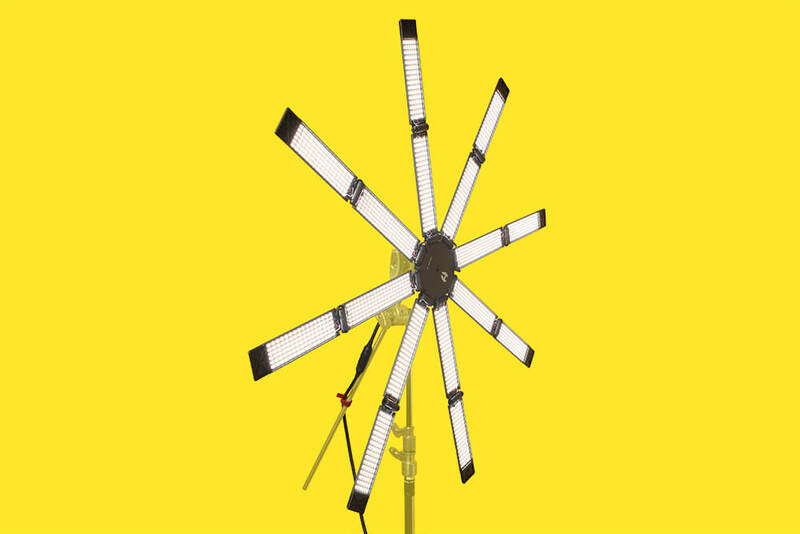 The Hudson spider is an 8-limbed transforming LED array; a go-to high-end LED source for cinematographers. 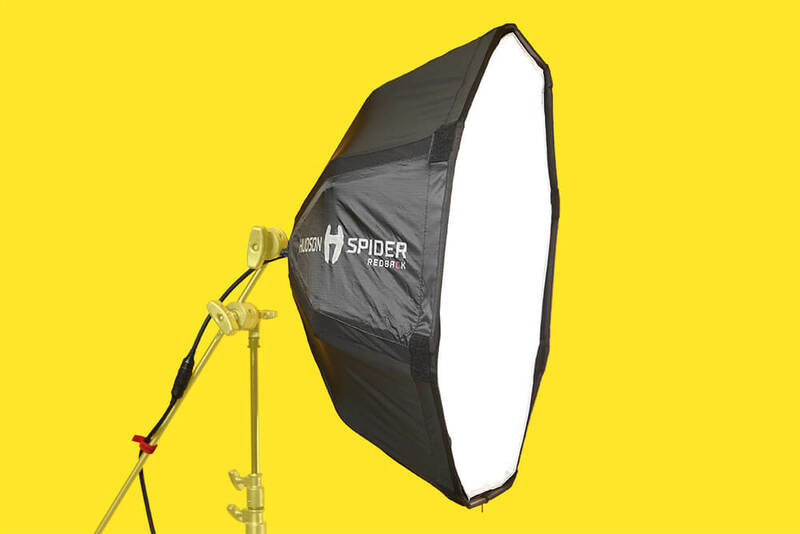 The Hudson spider is very bright with a 400w power output, and is a perfect large soft source light for commercials or feature films. The spider can extend up to 6ft, but when packed down is lightweight and compact so easy to travel with. You can additionally add a soft box with diffusion to create a large soft fill light. This Hudson Spider is easy to configure and is designed to be as solid and durable as possible. You can power the light on mains, or with V-Locks at a reduced output of 200w.